Despite or because of the bandwidth and creativity of the Berlin music scene, the feeling of stagnation and the realization that I need new impulses for my musical development arose at the end of last year. Searching for myself and my own musical inspirations, I locked myself in at home and tackled my first solo project, Bernstein Zimmer. Every day in December last year, a composition was created that I published in an online “advent calendar”. Bernstein Zimmer turned out to be a (lifeblood) project. One should not divulge magic tricks - certainly not ask for it. This may be similar to the nature of music. Still, what makes the magic of the songs of "Flying Cakes", how do the four musicians manage to sound so free - yet so precise? I think it's because of aspects that are contradictions in themselves. Compressions seem compact - the songs are composed in a confined space. And yet they give rise to space. Then there are melody structures that are intricate in themselves, but as a whole make the room all the clearer. The exciting thing is that the music does not have to cling to unambiguous rhythms, but can quietly draw its dynamics from odd meters, such as 7/4 and 11/4 time, into »Lunatico«. And finally, it's the unpredictability of songs like "Gentlemen Do not Run," which beats every prediction of how the piece evolves. There is a band that somehow sounds like a good WG: splendidly recorded, familiar and anything but tamed. Again and again with desire to spur each other, to nip, to drive. Mononoke is a Berlin based duo. Founded in 2015, Benjamin Geyer (Keys) and Fabian Rösch (Drums) are playing flourishing, one-set electronic music. The debut album „The Foreign Loomers“ captures some of their strongest musical and sound ideas that are formed into a virtuously flourishing and forward moving piece of art. During the last two years, Mononoke continuously refined their sounds, set up and concept. The two jazz musicians gained experiences while playing in different bands and touring throughout Europe to now be well prepared and join forces for their upcoming journey. In summer 2018 they started recording and created the unique and complex sound of „The Foreign Loomers“. 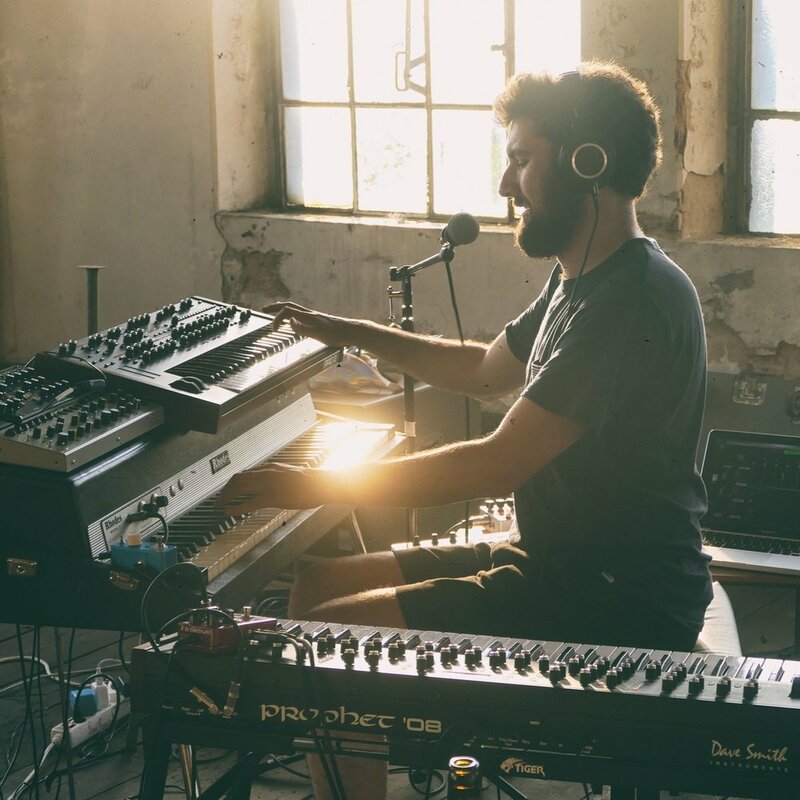 Mononoke’s song dynamic and progressive development is reminiscent of Floating Points, Flying Lotus and the dirt of Gaslamp Killer. The duo also got very inspired by the interplay and live character of Taylor McFerrin / Marcus Gilmore duo and the modern virtuosity of BADBADNOTGOOD. Benjamin Geyer studied Jazz Piano and Composition at the UdK (Berlin)/ Jazz Institut Berlin / Trondheim Jazz NTNU with Tino Derado, Prof. John Hollenbeck and Prof. Greg Cohen, Eirik Hegdal, Espen Berg (among others). Writing his own music and arrangements has been an essential part of his work since the beginning of playing the piano and making music. He is a flourishing part of the Berlin Jazz / Electronic and Improvisation Scene and contributes actively to it with his projects such as Flying Cakes, Mononoke, Phonophobia, Olympic Orchestra, Out Of Nations or the Mia Knop Jacobsen Band. Since 2010 Benjamin was touring throughout Europe with different Bands like Tom Schilling and the Jazz Kids, Out Of Nations, Flying Cakes, Mononoke and Olympic Orchestra, to name a few. He considers Germany`s Capital Berlin as his home base and source of creativity. In 2018 Benjamin started his solo project under the name Bernstein Zimmer and will promote this in the upcoming stay in the USA in 2019 with the vision to collaborate with likeminded artists of different genres and to create a progressive network. The Flying Cakes will be releasing their debut-album „19 Ways To Rain“ in spring 2019 with Jazzthing Next Generation / Double Moon Records. With his Duo Band Mononoke (Fabian Rösch on drums/electronics) he will also release their debut-album „The Foreign Loomers“. Der in Berlin lebende Pianist Benjamin Geyer begann seine musikalische Laufbahn mit 5 Jahren am Klavier. E-Gitarre und elektronische Klangerzeuger waren ebenfalls schon in jungen Jahren ein wichtiger Ausgangspunkt seines kreativen Schaffens. Er ist ein aktiver Bestandteil der Berliner Jazz- und Improvisationsszene. Durch seine verschiedenen Projekte zwischen Jazz, Improvisation und elektronischer Musik (u.a. Flying Cakes, Mononoke, Loarbaire, Phonophobia oder die Mia Knop Jacobsen Band) blickt Benjamin auf Konzerttourneen in Deutschland, Polen, Schweiz, die Niederlanden und Norwegen zurück. Die Mia Knop Jacobsen Band konnte den 1.Platz des Sparda Jazz Preises (Klaus Doldinger) 2017 für sich gewinnen. 2015 verbachte Benjamin Geyer einen vier monatigen Aufenthalt in Trondheim. Inspiration fand er durch die aktive und interessante Musikszene und bei seinen Lehrern Espen Berg, Eirik Hegdal oder Erling Aksdal. 2019 wurde das Solo Projekt „Bernstein Zimmer“ gegründet, welches er im Rahmen seiner bevorstehenden USA Reise im Sommer 2019 weiter entwickeln wird. Dort wird er sich mit verschiedensten Künstler*Innen über Musik, Kultur und Herkunft austauschen , um Aufnahmen und Kollaborationen entstehen zu lassen. 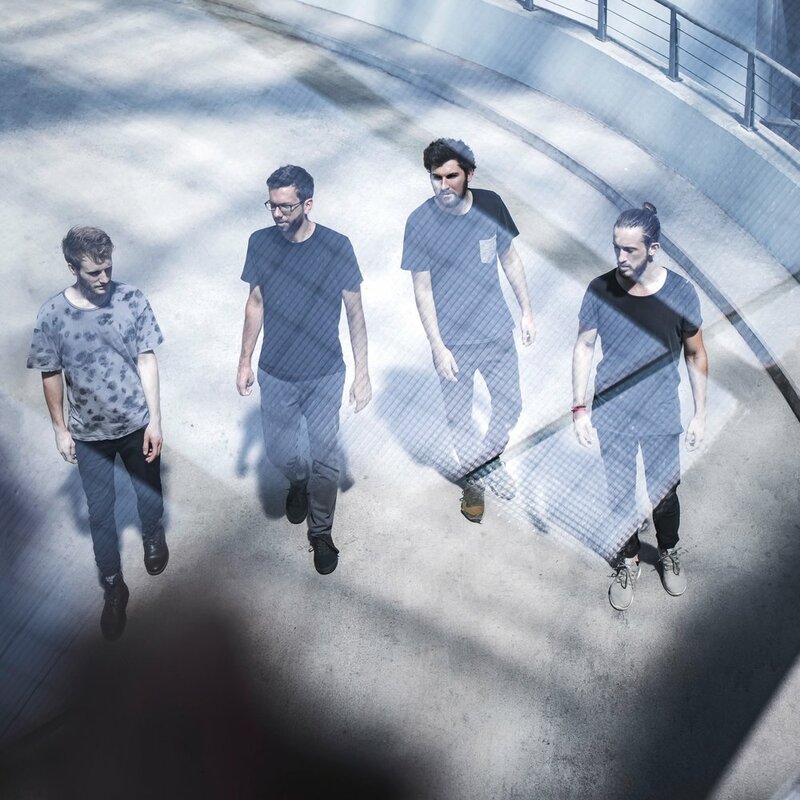 Die Flying Cakes veröffentlichen ihr Debüt-Album im Frühling 2019 „19 Ways To Rain“ bei der Jazzthing Next Generation. Das Duo Mononoke (Fabian Rösch dr/electronics) wird unter eigener Regie das Debüt-Album „The Foreign Loomers“ im Frühling 2019 herausgeben und live bespielen.